Provide adaptive assessments & prescriptive interventions targeting deficient skills for students below grade level, on grade level and above grade level in all core subject areas. Sophisticated assessment engines are an integral part of the curriculum content and a powerful tool which automatically develops individualized learning plans for every student. These tests help determine a student’s reading or math level and establish specific mastery goals within every subject area. Utilizing the wide array of assessment possibilities within the software, it’s possible to examine skills with a microscopic lens in order to pinpoint a student?s instructional needs, create unique assignment lists specifically designed to meet the student?s needs and fill in deficiencies, and to continually assess a student’s progress, taking care to reinforce prior learning and offer scaffolding for new concepts. Standards-aligned assessments provide remediation or additional challenging lessons based on individual benchmarking and bring the student to the center of the instructional model. Pre and post course assessments will determine gaps in student learning and prescribe lessons designed to fill in deficiencies, as well as show student growth at the end of a course. 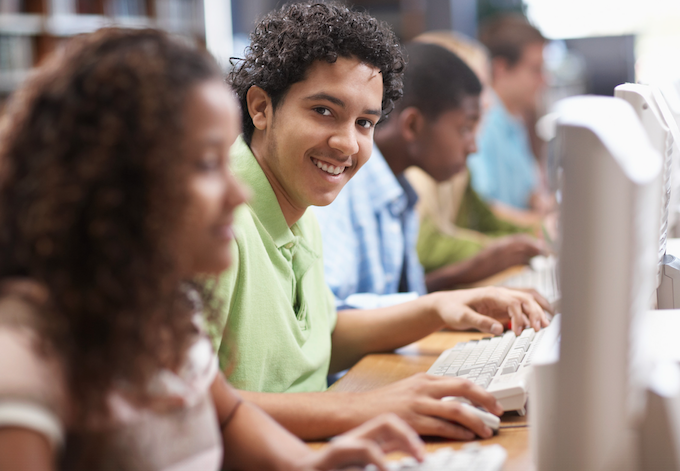 Adaptive assessments (“smart tests”) analyze student responses and self adjust accordingly based on the quality of students’ answers and adjust to the individual skill level of each student, providing a truly individualized education plan for every user. No two students will have the same experience! District driven assessments are designed to provide administrators with a snapshot of where students are on certain standards. Principals can choose to have their students work on a prescription related to particular district benchmarks, power standards, etc., allowing students to focus on meeting important standards at regular intervals throughout the school year. Finally, lexiled and quantiled formative assessments focus on placement and prediction, which other assessments may not address. Using MetaMetrics’s lexile and quantile data gathered from a student’s performance, educators can predict how well a student will do on a given standardized test. School managed assessment engines are essential in developing cohesive assessment practices, schedules and next-step action plans.